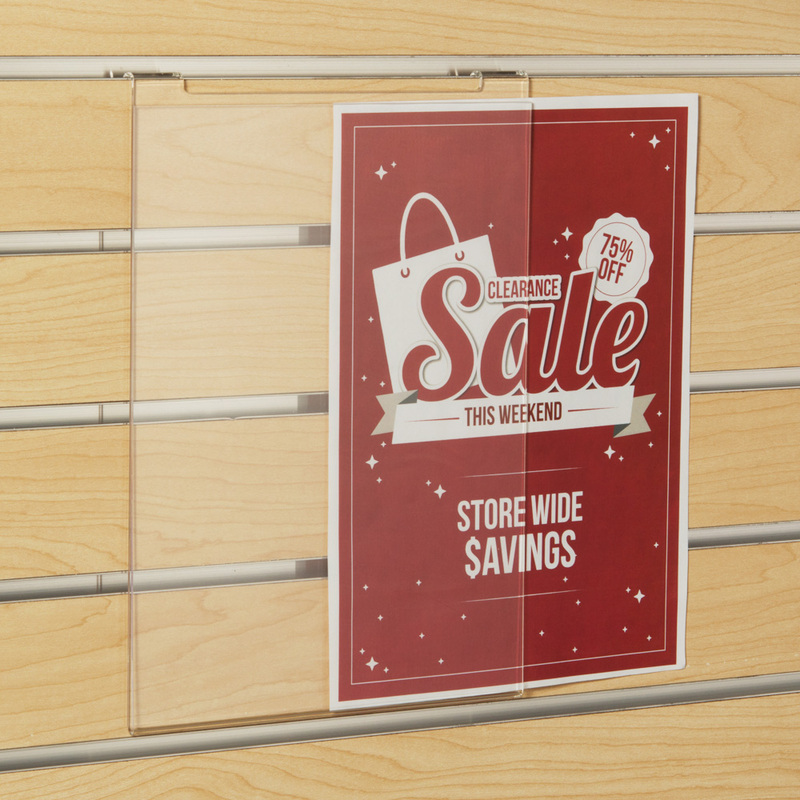 Attach signage to your slatwall displays to highlight promotions and special sales. 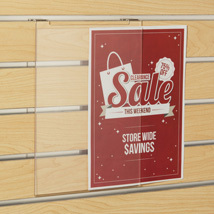 Open at the top and sides to slide your sign or information in. Available in a variety of sizes.